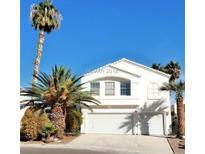 Below you can view all the homes for sale in the Valiente Estates subdivision located in North Las Vegas Nevada. Listings in Valiente Estates are updated daily from data we receive from the Las Vegas multiple listing service. To learn more about any of these homes or to receive custom notifications when a new property is listed for sale in Valiente Estates, give us a call at 702-323-5963. Come view this big spacious beautiful home. MLS#2073953. Source Realty. Beautiful Two Story Home In North Las Vegas*spacious Layout Featuring Four Bedrooms All Upstairs Along With Oversized Bonus Room*formal Living With Cozy Fireplace And Adjacent Dining Room*functional Greatroom With Adjacent Dining Area*secluded Back Yard With Pool*just Minutes To All Of The Shopping And Amenities*great Potential* MLS#2047676. Alajajian Properties.